Alexander ended the gruelling night race at the Marina Bay Street Circuit in 14th position, with his team-mate Will Stevens crossing the line in 15th place. 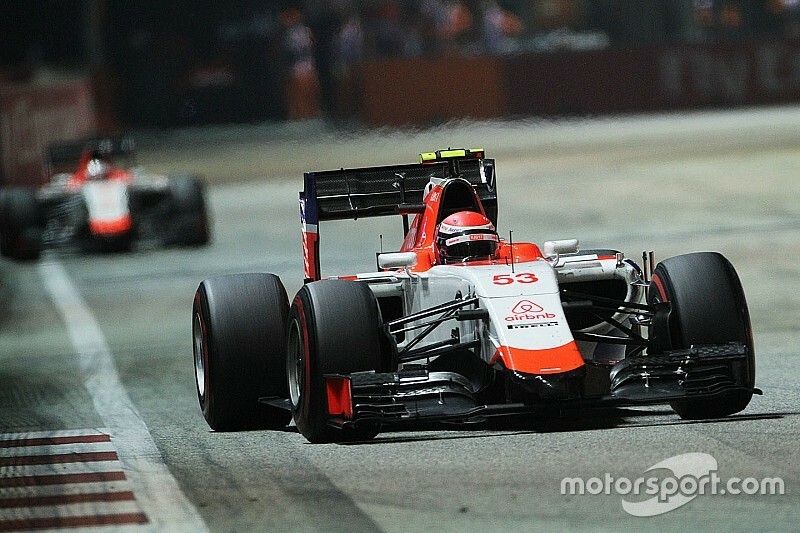 Alexander Rossi made his Formula 1 race debut and contributed to the Manor Marussia F1 Team’s second best combined race result of the season in the 2015 Formula 1 Singapore Airlines Singapore Grand Prix. Alexander ended the gruelling night race at the Marina Bay Street Circuit in 14th position, with his team-mate Will Stevens crossing the line in 15th place. 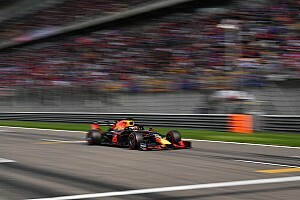 The weekend began with a tough opening day of running on Friday, which saw track time shortened after a brief encounter with the unforgiving walls of the notoriously challenging street circuit. Despite the small set back, Alexander soon settled into the team and experienced a productive Free Practice 3 and Qualifying sessions under the spectacular Singapore lights. Earlier on Saturday, Alexander had looked to have the edge on his more established team-mate Will Stevens, the young Brit struggling to get to grips with the circuit in low-fuel trim and instead focusing on race preparation. As it turned out, the qualifying session became rather more of a shoot-out, with Alexander qualifying in 20th overall. 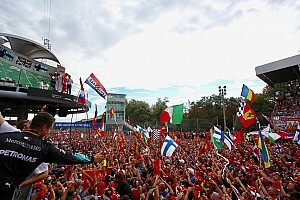 The scene was set for Sunday’s race, with the unique circuit the backdrop for the American’s debut Formula 1 race. Alexander’s confidence has been steadily building since he took to the Singapore streets for the first time in Friday’s opening free practice session, notwithstanding the fact that this track provides one of the most challenging initiations for any newcomer. The unforgiving nature of the tight and twisty circuit, coupled with high temperatures and fierce humidity, are usually more than enough for any driver, but Alexander also had to contend with running the latter half of the race without radio communications to the team, which effectively meant that he was racing blind. Despite this, and the many incidents on track, Alexander was able to deliver a strong performance in his debut weekend, crossing the line in 14th and ending his first Formula 1 race with an extremely positive result. Alexander will now head to Japan (25th - 27th September) for the 14th race of the 2015 Formula 1 season with the Manor Marussia F1 Team. John Booth, Team Principal: “I’d like to start by congratulating the whole team on an incredible job here in Singapore this week, culminating in our second best combined race result and our ninth two-car finish of the season. This is not an easy environment for any team member to operate in, and that’s before we add a new driver into the mix. Our trackside operation this week has been incredibly slick and particularly creditworthy were the substantial repairs required on both cars in the field on Friday; cars which, today, enabled both drivers to take the chequered flag. Alexander Rossi #53: “My Formula 1 debut has been a long time coming, and today has been pretty special. All the hard work to get here finally paid off and it was a fantastic feeling to be racing on the streets of Singapore in my first ever Grand Prix. It wasn’t the most straight forward of races; I didn’t get the best of starts, and as the procedure is quite new to me. I recovered quite well though and managed to get a good run into Turn 5, where I was able to get past my team-mate. “I’m quite pleased, the pace on both the Option and Prime Tyres was really good throughout the race. Everything was going well until around the midpoint of the race, when I lost radio communications with pit wall. That was challenging because of the second Safety Car period and I wasn’t able to receive instructions from the team about when to unlap myself, which may have cost us a position or more. Despite that, it was perfect end for a debut, I could not have asked for more.